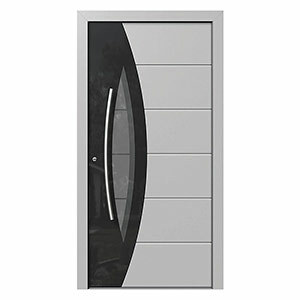 Neuffer's modern entry doors deliver exceptional beauty and make an eye-catching first impression. 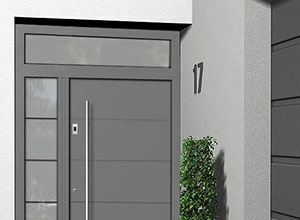 Time-tested German craftsmanship, the finest hardware and a huge range of options ensure we can design a bespoke solution that seamlessly integrates into your facade. 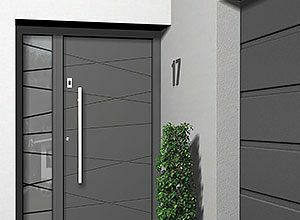 Our premium doors are available in timber, aluminum, aluminum clad wood and vinyl and designed to meet the most stringent design and thermal performance requirements. Aluminum is the signature of modern design, precision and durability. 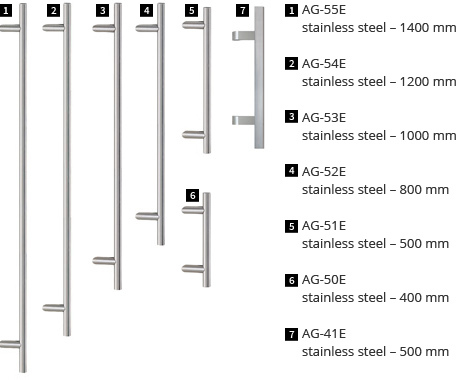 It complements any contemporary home aesthetically while offering excellent strength and security. 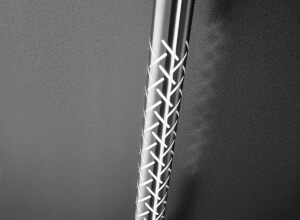 Furthermore, the 91 mm metal components increase burglary protection. Our aluminum profiles are warp resistant and allow tight seals and proper function even at high temperatures, while premium steel frames hold the glass inserts in place. Like the rest of the door, the glass inserts themselves can be customized. We offer a wide selection of insulating, soundproof and ornamental glass to choose from. 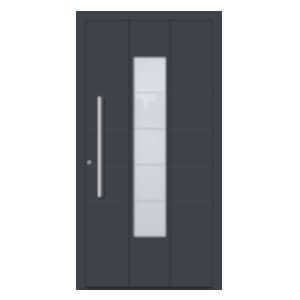 Our customers have the choice of further configuring the exact style, colour, hardware, insulation and security options of their door. It is no wonder that vinyl is a popular material choice for windows and doors today. It offers excellent energy efficiency, customization options and value for money. Best of all, it requires no repainting or regular upkeep meaning more time and money for you. Vinyl is not just affordable, it is also easy to manufacture and work with. That makes it particularly easy to customize into individual shapes and designs. It also allows the creation of multiple internal chambers in the frame, ensuring excellent thermal insulation values. 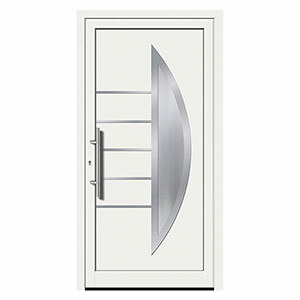 Neuffer offers a variety of vinyl door frames to suit your security and energy needs. Integrated steel reinforcement and solid edge weld joints improve burglary protection. Casements are also available with full security features, including triple locks and hinges. 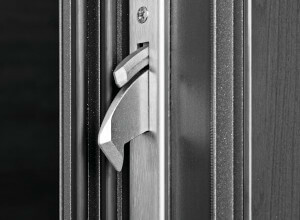 Integrated steel profiles and solid edge weld joints improve burglary protection. vinyl casements are also available with full security features, including triple locks and solid triple hinges. Wooden front doors exemplify elegance, durability and timelessness. They offer the insulation, strength and beauty that can only come from a natural material such as wood. We offer a range of species including meranti, pine, larch, oak, walnut and more to ensure you get the exact look desired. Choose a classic or modern style to match your home. Our range of customization options and accessories enables you to choose the exact configuration of features and looks required. For example, extra security and excellent insulation in a traditional look can easily be combined. Customize your entrance with colours from the entire RAL colour range. Regardless of the specific hardware and accessories, you can select from a large variety of RAL colours for your door. Whether vinyl, timber or aluminum, simply choose what matches your facade and taste and we'll do the rest. 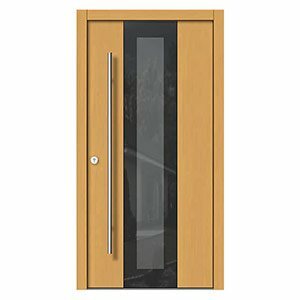 In addition to the door itself, the overall design can include both sidelights and transom windows. These allow more daylight in and create a more welcoming impression for visitors. Mailboxes can also be integrated into the sidelights where laminated safety glass is also recommended. Handles and advanced locking systems are also available. Keys are already disappearing from modern cars and front doors are not far behind. Fingerprint systems are not just the stuff of spy movies and top secret vaults. Nowadays, front doors can benefit too from the advantages of keyless entry. Create fingerprint profiles for those allowed to enter the home. Thereafter, only those on record will be given access. Lost keys will cease to be a security risk and you won't have to rekey your locks. Best of all, there will be no more searching for lost keys before leaving the house! Each comes in different lengths and designs. For example, all materials can be ordered with flat or brushed surfaces.